Even in today's difficult insurance marketplace, AMIS still offers many of the coverages that you can’t find elsewhere. 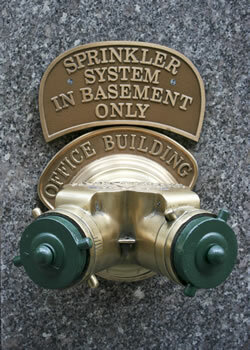 Every year, fire suppression systems fail to operate satisfactorily in fire situations. In about one-third of these cases, the cause is inadequate inspection, testing and maintenance. An Edison Electrical Institute (EEI) study found that 49 percent of gaseous suppression systems in combustion turbine units failed to operate satisfactorily during a 20-year period, with total property damages of $15.9 million. An example of a fire with tragic consequences involved lube oil at a cogeneration plant in 1992, which resulted in the death of three plant operators. Automatic sprinkler protection was provided for most of the plant, including lube oil hazards, but the systems had been turned off! Had the system been operational, the fire may have been controlled. AMIS has put together a great insurance package with competitive rates and superior service, rated "A" by A.M. Best Company, a leading industry organization that monitors the strength of insurance companies. This rating means that our insurance company is considered "excellent" in important areas like stability, management expertise, and the ability to meet their financial obligations. AMIS/Alliance Marketing & Insurance Services has one of the best Fire Suppression Insurance programs. Our "Fire Suppression Professionals" program is designed specifically to fit the needs and coverage requirements of the fire protection industry. AMIS understands your unique business, and offers a comprehensive affordable solution for your insurance needs.